Artist of the Month | Renaissance Graphic Arts, Inc.
Annie, it is a privilege to have been helping provide your printmaking needs since 2001. We appreciate you as a customer but even more as a person and extremely talented artist. You are a vital piece here at Renaissance, but more importantly to the printmaking world. Beginners and people with no art experience are most welcome to take classes. Wood block carving and printing are both creative and oddly calming activities that are welcome in our frenzied world. 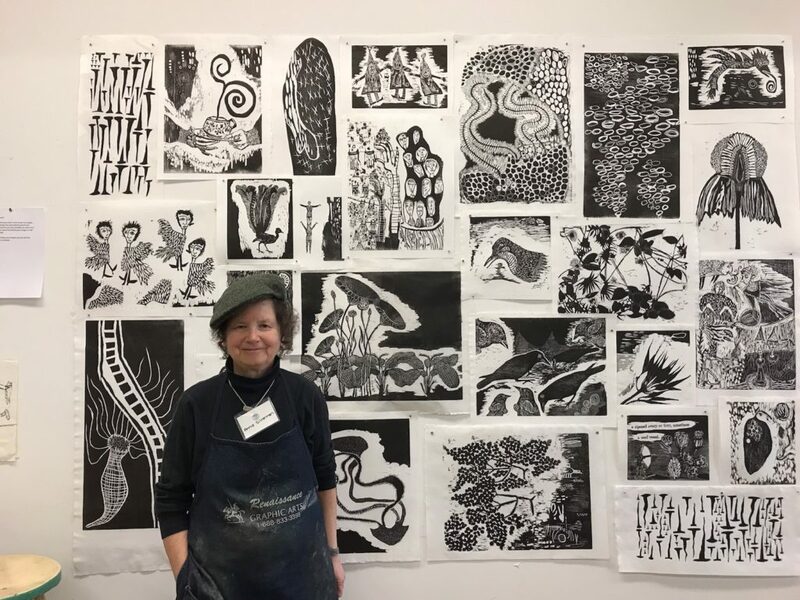 For many years Annie taught Artists Books and Relief Printmaking as a part-time instructor at Massachusetts College of Art and Design in Boston. Her work has been exhibited and collected nationally and internationally, most recently In Gronningen in the Netherlands, and at the Cahoon Museum of Art on Cape Cod. She has had solos exhibitions over the past few years at Philips Andover Academy, and at Bentley University. 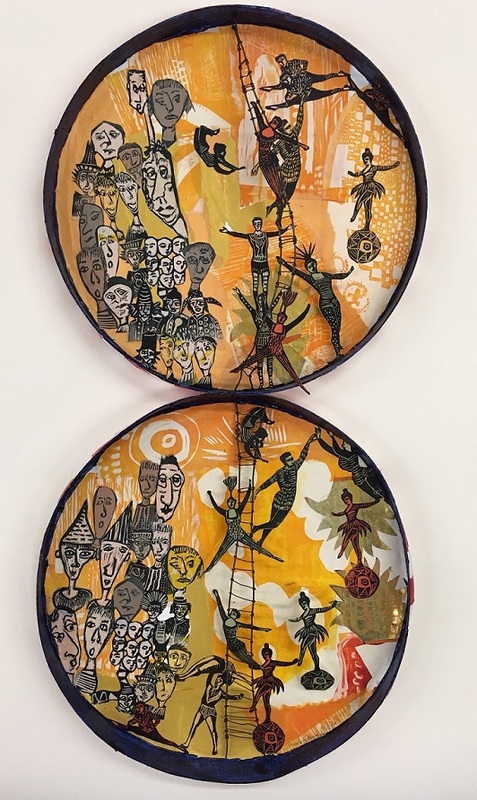 She has had artist residencies in Ireland and Denmark, and will return to teach a Master Class in Pronto plate (polyester plate lithography) this coming May in Denmark, at the Fynsk Graphic workshop in Odense, next to the Hans Christian Andersen Museum. She is working on a book project : 18 years of Woodblock prints, which she hopes will be published in the Spring of 2019. Annie is an experienced teacher and workshop presenter and has given workshops at Zea Mays studio, Penland School of Crafts, Pyramid Atlantic, and Mixit Studios. The jellyfish Beetroot was found on an old encyclopedia page from the 1800’s. The carrots from a chromolithograph. The prints are woodcut and polyester plate lithographs printed on Japanese paper. Our Artists of the Month are special printmakers that deserve a little lime light, along with a 20% discount for the month they are featured! You will see their works of art, brief histories, as well as some fun facts about them and how they got to be where they are today. To be featured as our artist of the month, please email: elise@renaissancegraphics.com.